Affordable self-catering accommodation near Kronenburg, Ashanti, Nelsons Wine Estate, La Bac, Rhebokskloof, Spice Route in the Winelands ideal for bigger wedding groups to stay together, or corporate employees staying longer periods. We have 32 self-catering units in the hart of the winelands lear the Cape Town International Airport with a lovely view over a dam with bird live. Children can feed the ducks and chickens. 18 Units has its own braais on the stoep. 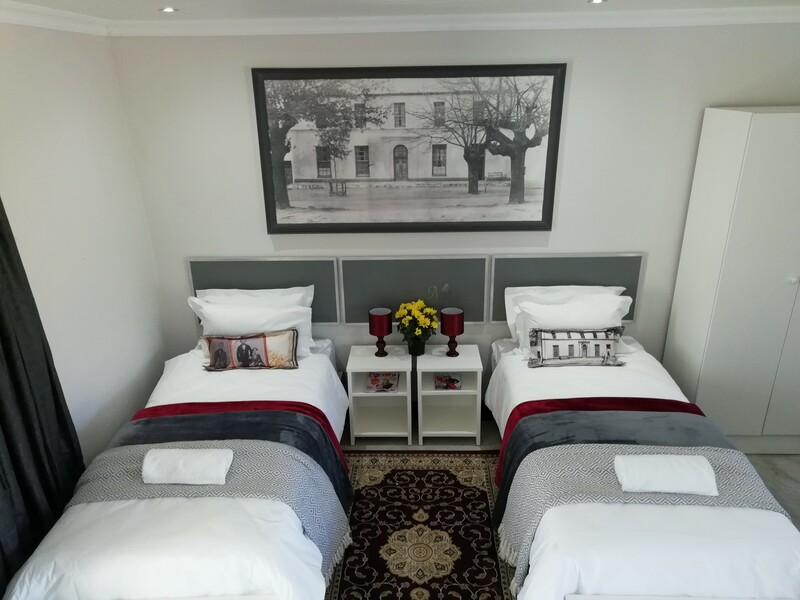 With a lovely touch of Paarl's heritage this will not only be a stay at a guesthouse, but an experience. The units are ideal located near poplur wedding and conference venues. Transport can be arranged to these premices. We do have public water supplies and borehole water available.